The team at Kelley Construction Contractors, Inc. is your superior restoration and renovation contractors in the Peoria, IL area. We specialize in helping our customers get out of stressful situations after unforeseen events such as fires, flooding, and storms by providing quality, affordable restoration services. Sometimes you may just want to upgrade or add on to your property, and we can take care of that, too. We are licensed, bonded, and fully-insured for both residential and commercial projects of all sizes and scopes. If you live in the Peoria area and need a reliable restoration or renovation contractor, check out more information about our services available in your area and give us a call! Your safety is our number one priority. We will work quickly to restore your property, getting rid of any fire, smoke, and soot damage left over. Hail storms are no match for Kelley Construction Contractors, Inc. From roofing to siding to windows and beyond, we will take care of every aspect of your property so you can’t even tell hail ever touched it. When a storm tears through Peoria, call Kelley Construction Contractors, Inc. first. 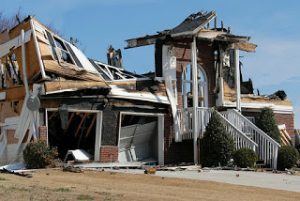 We provide emergency services, if needed, and will help you through the whole storm damage restoration process. If your property is on the Illinois River, you may be susceptible to flood damage. Whether that’s the case or you have any sort of flood damage in your property, contact Kelley Construction Contractors, Inc. for your repairs. Don’t panic if you’re surprised by a burst pipe or leaking appliance. Kelley Construction Contractors, Inc. provides water damage restoration services to get rid of any moisture and restore your property back to its original condition. Living with mold is a health risk you don’t want to take. If you notice any mold in your property, we can come right away for further inspection and mold remediation services. Don’t let a stressful situation stop you from contacting a restoration contractor right away. Kelley Construction Contractors, Inc. will help you from beginning to end, making sure all of your services are done in a timely, efficient manner that will not only save you money but also get your life back on track. Contact us today for a free restoration estimate! From design to construction, our team will work with you to make sure you have the kitchen of your dreams. Our bathroom remodeling services will ensure you have a space that is not only functional, but also luxurious. Your basement doesn’t have to just be a storage area. From a guest bedroom to a living room to an office, turn it into whatever you want with basement remodeling from Kelley Construction Contractors, Inc. If you want to enjoy the great outdoors without all the bugs and harsh elements, a sunroom addition may be for you. 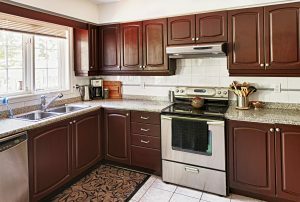 When you are ready for a remodel, our team will help you from the beginning to the end. We have design specialists who can assist you with choosing the best layout and materials for your renovation. Then, our contractors will do the construction work in an efficient manner, so you can enjoy your property as quickly as possible. Contact us today to get started!